Through a partnership between the UCSC Digital Art & New Media program, the Openlab collaborative research group and the city of Santa Cruz, artists & scientists will join together to create a series of events focused on local water issues. These events will highlight the relationships between our fresh water and ocean systems with a emphasis on ecology and sustainability. Our research is focused through the lenses of art, science and interdisciplinary collaboration. 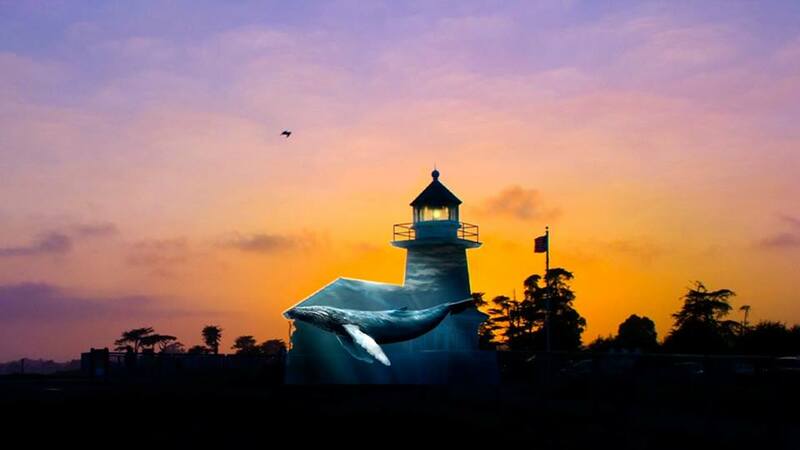 The initial site for this event series is the Abbott Lighthouse at Lighthouse Field’s state park, as well as tentative plans to have our second event later this summer at the Santa Cruz harbor’s Walton lighthouse as well as other potential downtown exhibition spaces including both indoor and outdoor venues tbd. These events will form a unique combination of site-specific installation art, sustainably & ecologically focused research, educational outreach, video projection mapping, sound art, performance art, sculpture and more. Much of the work is focused on various water / ocean sustainability & ecology themes, through partnerships with the UCSC marine Biology, Ecology and the Earth & Planetary Science departments. The lighthouses have been chosen as a unique symbol of communication, guidance and warning between the land and sea, between man and nature and for their majestic presence and historical significance. The title “Bloom” refers to the cycle of light that rotates within the cupola of all lighthouse towers. The “Bloom” is the moment that the wave of light reaches its peak and becomes visible within the eyes and mind of the viewer. The term simultaneously refers to phytoplankton blooms and the seasonal upwelling cycles of the ocean and river estuaries that occur each spring, supplying valuable nutrients to our local food web. Through “Bloom Santa Cruz” we hope to open the eyes of the viewers to the delicate living systems that live below the surface of our local waters and to the solutions that can be developed through creative partnerships between art, science & community.